have been the owner of the James S. Rawlins Store, a picture of which is included in this index. Dr. James S. Rawlins, a merchant and physician of Dancyville, was born at Dancyville , December 25, 1843. His father was Dr. John W. Rawlins, and was a native of Alabama, but practiced medicine in Haywood County for about twenty years, having an extensive and profitable practice, and being in fine circumstances when he died. The mother's maiden name Hester A. Payne. She was born in Smith County, Tenn., and died in Haywood County. Our subject was of English descent, and remained on the farm until the war, and, although only sixteen years old, enlisted in the Confederate Army in the Ninth Tennessee Infantry, but was discharged at Tupelo, Miss., on account of ill health; in a short time, however, he joined Forrest's cavalry, and remained in the service until the close of the war. He then commenced the study of medicine under his father, and then entered the medical university of Pennsylvania in the fall of 1865, graduating in March, 1867, and since then has been a most successful practitioner. Since 1873 he has also been engaged in the drug and general merchandise business. 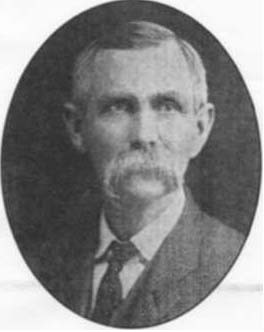 His wife was Miss Mattie McCool, daughter of Martin and Mattie McCool. They have six children: Hester A., James B., Frank Guerney, Jno. P., William and Katie. Dr. and Mrs. Rawlins are both members of the Methodist Episcopal Church South. He is a staunch Democrat, and a man of influence and fine social standing. Dr. Rawlins is one of the pioneer stock-raisers of the county, and raises fine horses and mules. He is an energetic man, a kind friend and an enterprising citizen.